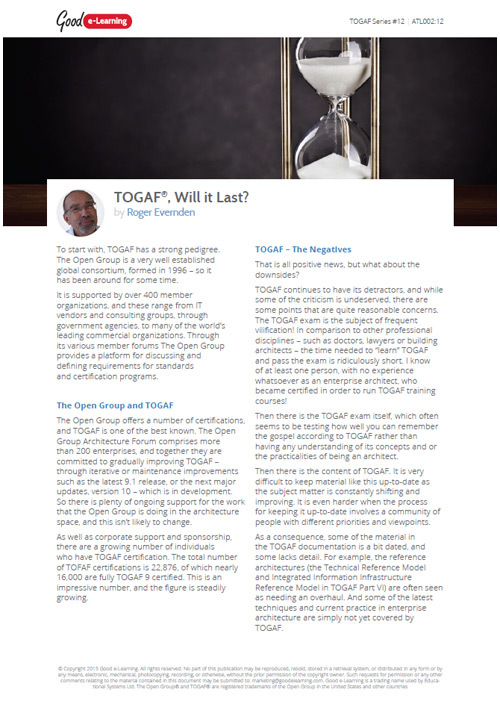 TOGAF - Will it Last? Is there a future for TOGAF? Whether you are a large organization deciding to invest heavily in the use of TOGAF – or an individual thinking about getting trained and certified in TOGAF – you will want to know that TOGAF is not just a passing fad!